Paper Masters can help you write an authentic research paper on the Postmodernist movement. The research paper should address and summarize the background from which it started to the foreground of its existence, the purpose of the movement (how and why it came to be), its key figures, it's acceptance as well as criticism, its overall existence within the realm of philosophy etc. As far as the key figures are concerned, 6 philosophers should be studied to a brief extent in regards to their individual place in the movement as well as the philosophical issues they each addressed, as well as their hallmark beliefs or arguments. You are not allowed to use any sources outside of the philosophers studied in your philosophy research paper. Tracing the development of postmodern thought, it becomes clear that postmodernism was born from the tenets of modernism. Modernism, which occurred in the United States in the early part of the twentieth century focused on the fragmentation of art and science as a means to escape the rigid boundaries that had been imposed by Victorian thought. In many respects, it could be argued that the goal of modernism was to deconstruct the boundaries of literature, art, culture and society to create a more homogeneous discourse that represented the full scope of what humanity had to offer. As postmodernism began to take hold, the clear emphasis of this movement became deconstructing what modernists had created. Tracing the development of postmodern thought, it becomes clear that postmodernism was born from the tenets of modernism. Modernism, which occurred in the United States in the early part of the twentieth century focused on the fragmentation of art and science as a means to escape the rigid boundaries that had been imposed by Victorian thought. In many respects, it could be argued that the goal of modernism was to deconstruct the boundaries of literature, art, culture and society to create a more homogeneous discourse that represented the full scope of what humanity had to offer. While this process put an end to the rigid boundaries that separated many facets of society, it also gave rise to an ordering of social discourse that inferred the necessity for making order out of chaos. Thus, modernism accomplished two goals: it deconstructed culture only to reorder it with a more homogeneous appeal. In many respects one could argue that modernism gave birth to the acceptance of the WASP (White, Anglo-Saxon, Protestant) ideal that became such an integral part of Western culture. Although modernism produced an ordering of culture and society, it also created friction for many who saw the randomness of society and culture as a magnificent thing. To this end, signs of conflict in modern society began to manifest in the development of anti-cultural attitudes that sought to deconstruct the values that had been created in modern culture. Even though researchers seem to pinpoint the actual beginning of postmodernism as the 1980s, it is clear that many of the ideals that have been espoused under the heading of postmodernism began to take shape long before the 1980s. Perhaps this time is credited for the beginning of the movement because it effectively represents the culmination of society’s frustration with proscribed values of the WASP. Examining the individuals that have contributed to the postmodern movement, it is clear that there are a number of notable figures that have served as a point of reference for any individual attempting to define this movement. For instance, Jacques Derrida, a French literary critic and philosopher was the first individual to propose the idea of deconstruction. According to Derrida deconstructionism could be used to show that all ideas—art, literature, etc.—came from the same origin and could not be separated from one another. In addition, Michel Foucault also emerged a proponent of postmodern thought. While Derrida’s works tended to focus on political ideologies, Foucault utilized his intellectual power to argue in sociological terms. For instance, when looking at the construction of society, Foucault would not just focus on the specific aspects of structure in society that provided meaning; he would also focus on how the social environment created meaning for an individual or group. Thus, Foucault’s work sought to move beyond the broad definitions that had been established in modern thought and explicate how meaning could be created from external realities. Luce Irigaray also challenged the tenets of modernism in through the tenets of feminism. For instance Irigaray argued that science was a manifestation of male oppression as it served as the basis for placing the stronger needs of the masculine over the feminine. Because postmodern thought sought to destroy these boundaries, Irigaray felt that the constructs of science and physics needed to be reinvestigated to discern their real truth. For Irigaray, feminism was the framework upon which to reframe the individual’s interpretation of the world. Jean-Francois Lyotard also attacked science, but in a different manner. In Lyotard’s most prominent work he argues that the universalism that had been created by modernism could not exist because this universality must be part of the system which created it. While this concept is somewhat difficult to grasp, what it essentially does is attack the basic tenets of science that were rigidly imposed on the order of modernism, arguing that no pure form exists. These ideas are very similar to those espoused by Derrida. Gilles Deleuze and Felix Guattari are perhaps best remembered for their examination of the role of capitalism in the postmodern era. According to these authors, capitalism was a system that fostered construction and deconstruction all at the same time. Deleuze and Guattari asserted that while capitalism served to deconstruct specific groups in society for the purpose of profit, it also brought other groups together for the same purpose. The central tenet of this idea was the realization that capitalism, which had been heralded as a pure and perfect system under modernist definitions, was not the idyllic pure system that it had been touted as. Once again, the idea of the non-existence of a true pure form is stressed in this explication and definition. Although many of the authors profiled in this investigation began their works long before the 1980s, it becomes clear that it was not until this time period when historians began to notice a trend in discourse and writing that favored the abandonment of what was viewed as pure under modernist thought. Interestingly, while most of the philosophical work on postmodernism occurred in Europe, the true ramifications of this movement are best seen in Western cultures. Perhaps this is because the West had so profoundly committed itself to the tenets of modernism. Although it is difficult to know for sure why this postmodern thought has had such a profound impact on Western discourse, the reality is that postmodern ideologies have truly come to encompass the way that most individuals think and behave. For this reason, it is truly a profound change. Modernism in Theater - An essay on modernism in theater show that an essential element of the unique aesthetic sensibility that imbued modernist theater was a renewed focus upon the human form and the ontological implications of the human body. Modernism and Religion - Research papers on Modernism and Religion discuss how western societies have tried to reconcile their beliefs with the newly discovered evidence provided through science and technology. Derrida Deconstruction essays examine the literary theory and philosophy of language that largely comes from French writer Jacques Derrida’s 1967 book Of Grammatology. Derrida's Structure, Sign, and Play in the Discourse of the Human Sciences - Humans have a tendency to prefer systems of explanation in which every element can be reconciled and explained. 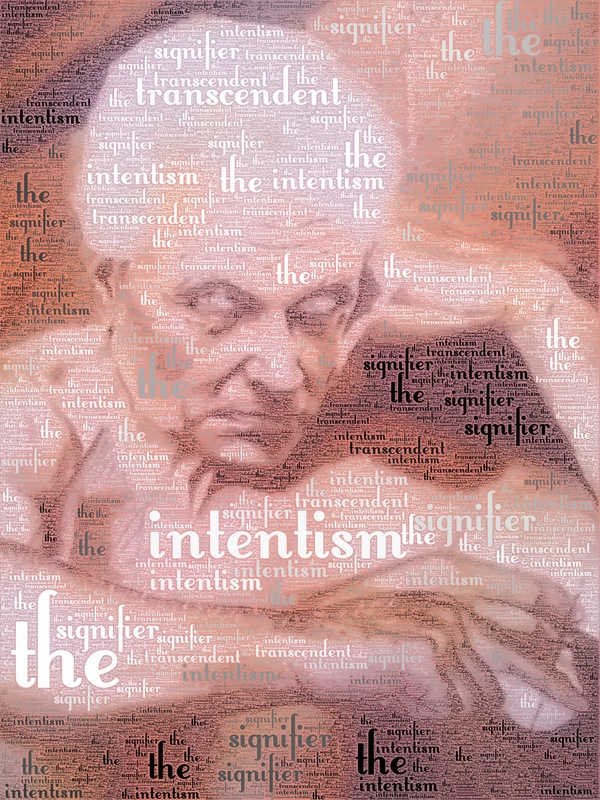 Gadamer and Derrida - Gadamer and Derrida have influenced how we read texts in literature and philosophy. Paper Masters writes custom research papers on Postmodernist Movement and examine the postmodernist movement through Derrida, Foucault and others.